E-bikes from GREATEBIKE.EU are shipped in “ready-to-drive” state by DHL Freight - the World’s leading logistic company. More information about Delivery options you can find here! It will take less than 10 minutes from receipt of your e-bike to your first trip! 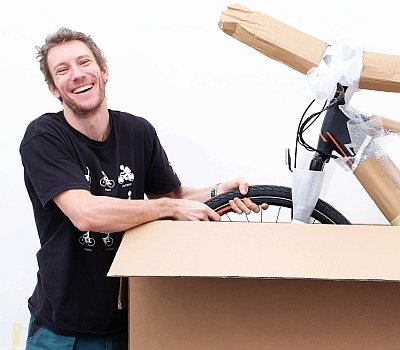 You will get your new electric bike in a special box. Box width 190cm / height 125cm. Weight 30 - 35 kg. We strongly recommend our customers to keep the original box up to 1 year after the purchase of goods, just in case! With a knife or a scissors you first remove the fixing straps. Carefully remove the packed e-bike from the box. It's better to ask someone to help you with this. In the package you will find the pedals, charger, keys to the battery and instructions for use of the e-bike. That's it. It is time to install the pedals and handlebars, but don't worry, you can easily do it. First, remove all packaging materials. We advise you to keep them with the shipping box. Use the wrench 15mm (or Allen key 6mm on some models) to set up the pedals. 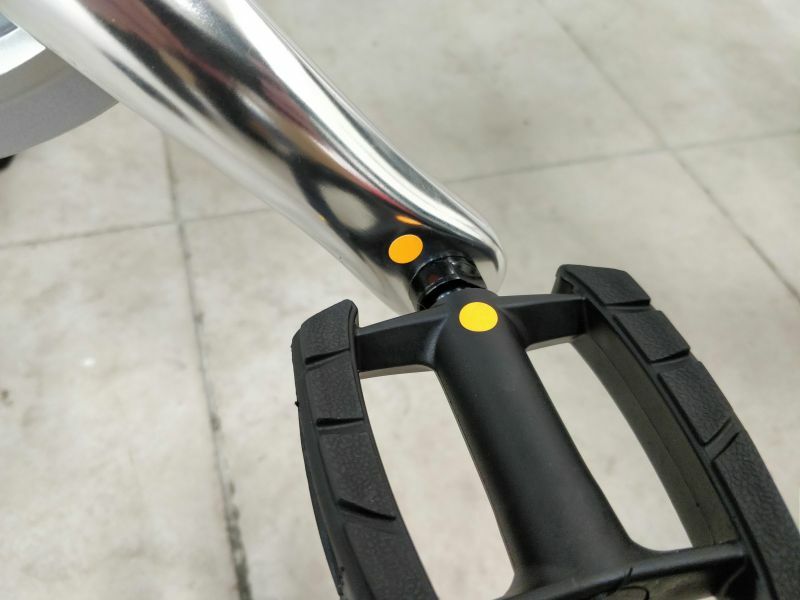 The right pedal and crank are marked with orange dot and left pedal and crank with green. Turn the handlebar straight ahead and tighten it with the attached (hex)Allen key 6mm. Make sure everything is properly tightened and the cables are not stretched anywhere. And that's all. Now just turn on the battery and prepare to be amazed on the road! Are you still looking for something you didn't get to know from this article? and we'll be happy to explain everything to you!